A "bristling" is my current favorite. 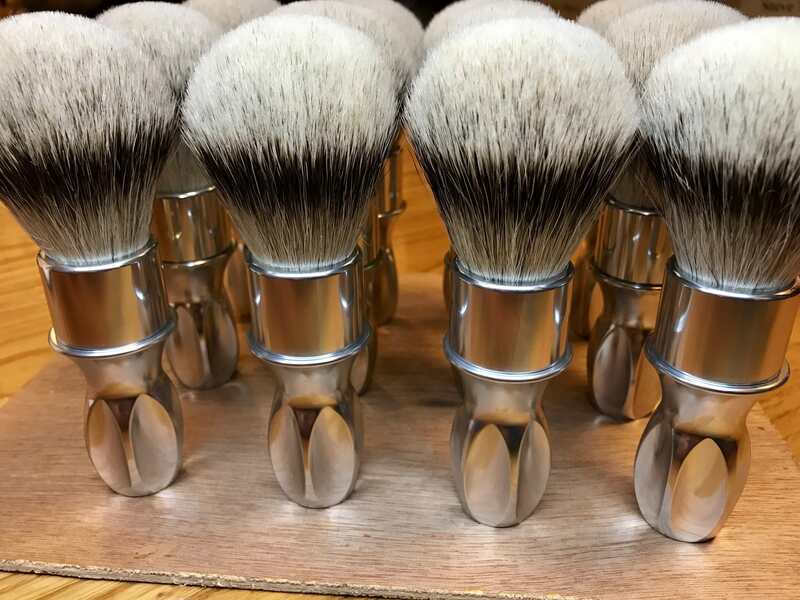 If it's horse hair brushes, calling it a herd would be appropriate., as would a cete for a group of badger brushes and a sounder for a dozen or more boar bristle brushes (or a parcel, a drift, or a drove - depending on where you're from). (08-13-2018, 08:29 PM)Vlasta Wrote: Suggestions? When I look at my shelves of brushes I say to myself "nice hair" or "nice fur." So I nominate "hair" and "fur" for consideration. (08-14-2018, 05:25 AM)chazt Wrote: When I look at my shelves of brushes I say to myself "nice hair" or "nice fur." So I nominate "hair" and "fur" for consideration. The singular form (for one face & one beard) is a sufficiency of brush. I just call my collection the farm. A colony of badgers can be referred to as a clan. 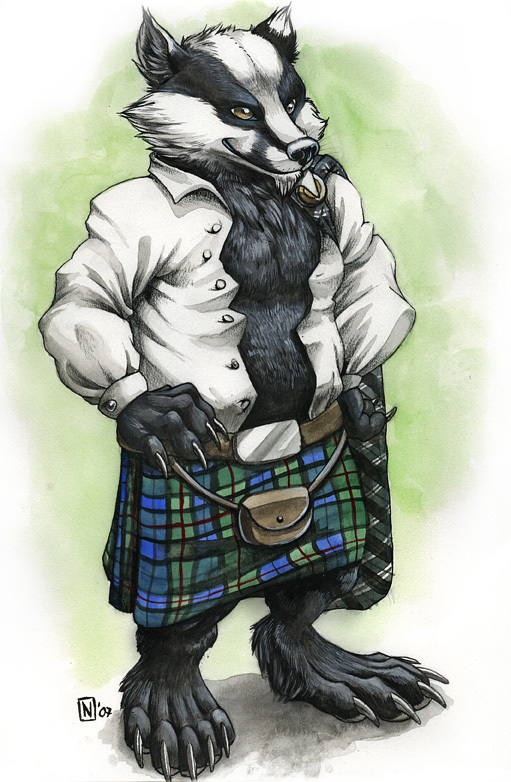 Now if they were, say, Scottish - that clan might wear kilts. An Acquisition Disorder of brushes? My wife has used a variety of terms to describe my collection, however, in the interest of good taste, and keeping the forum a nice positive experience, I'll not list them. (08-15-2018, 05:26 AM)David Wrote: My wife has used a variety of terms to describe my collection, however, in the interest of good taste, and keeping the forum a nice positive experience, I'll not list them. My wife rolls her eyes, says, “another one?” shakes her head and then changes the subject. My exact circumstance. Unfortunately it extends beyond my 33 brushes to my collection of +100 fountain pens. Double jeopardy I call it. Just wondering what the collective noun is for women’s shoes; an Emelda perhaps? For me, I think of my brushes as my mid-life crisis mistresses.